The Ayurvedic Institute, recognized as a leading Ayurvedic school and Ayurveda health spa outside of India, was established in 1984 to teach the traditional Ayurvedic medicine of India and to provide these ancient therapies. Ayurvedic healing includes herbs, nutrition, panchakarma cleansing, acupressure massage, Yoga, Sanskrit, and Jyotish (Vedic astrology). Our student practitioners are ready to help you with an approach tailor-made to your unique constitution & health situation. Check out our specials! Early bird discount saves $1,000! Immersive, in-depth residential training with Vasant Lad in Pune, India. 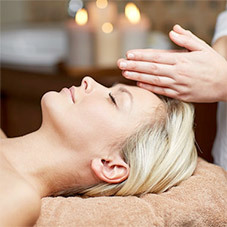 Learn authentic Panchakarma Therapies. Vasant Lad shows you some of the causes for imbalance in the digestive system and teaches you ways to manage common disorders. Learn techniques to detect and dissolve blocks in the chakras, synchronizing the physical and subtle bodies. Join Vasant Lad, BAM&S, MASc as he personally teaches the ancient knowledge of Ayurveda. Offering 4 wonderful topics, Vasant Lad has planned inspiring weeklong sessions with lessons you can take home and use right away. 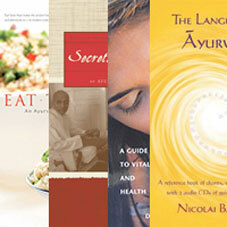 Experience the wisdom of Ayurveda! We offer a variety of weekend seminars, week-long summer intensives, and online seminars. Low cost or FREE student clinic that is open to the public. Book your appointment today! Join these one-of-a-kind small-group trainings to uncover what the ancient wisdom of Ayurveda has to teach you. Each of our programs is designed to provide opportunities to deepen your awareness of the healing traditions of Ayurveda that have been practiced for thousands of years and to understand how these ancient teachings are relevant today in your personal life and clinical practice.